Termini Imerese rises in an area inhabited since the Prehistorian Age, as many remains of that period testify. It was founded by the surviving ihnabitants of the destroyed Himera in 408 b.C. ; a Carthaginian dominion until the First Punic War, then it passed under the control of Rome with the name of Thermae Himerenses. It had had a big town growth and the realization of majestic works like the aqueduct Cornelio now dilapidated. In 828 it was conquered by Arabs who enlarged and improved it. With Normans it became State town. The emperor Carlo V who settled there round 1540 and made build the first town wall now no more existent. 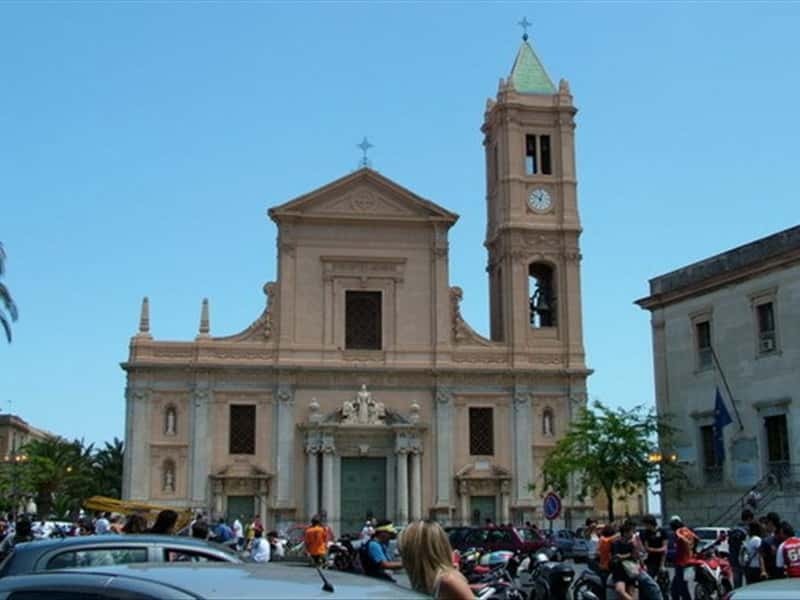 The Cathedral of San Nicola di Bari dates back to the XVI century and was rebuilt in 1604. It contains the "Madonna della Mazza" (Madonna with Club), a statue by Giorgio da Milano (1487), the "Vergine del Ponte" (Virgin of the Bridge) by Ignazio Marabitti and, behind the main altar , the "Vergine in trono" (Virgin Enthroned), a sculpture by Mancino and Berrettaro, which is part of the same altar-piece that the statues in the façade come from too. We also suggest to visit the XV century Church of Santa Caterian d'Alessadria, with an interesting ogival portal and containing frescoes by Nicolò and Giacomo Graffeo (15th century) representing "Stories from the Life of St Catherine", with inscriptions in Sicilian dialect. The former Monastero delle Clarisse houses the Biblioteca Liciana founded in 1800 and containing precious parchments, incunabula and rare editions. In the garden of the Convent traces have been found of a Roman amphitheatre, with a capacity of about 400 spectators. Other Roman remains can be visited in Villa Palmieri, such as the Roman curia and basilica and the remains of the bell tower of the no longer exhistent Church of San Giovanni Battista (XVI secolo). The Church of San Marco Evangelista, the Town Hall, the Civic Museum and the remains of the castle destroyed by the Bourbons are interesting too. This town web page has been visited 20,646 times.